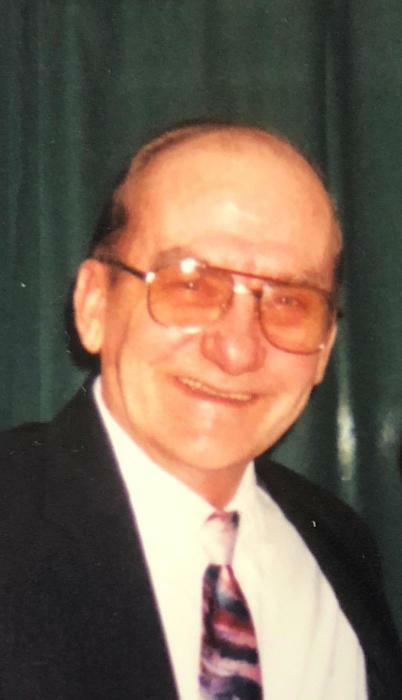 Arthur Nevin Horton of Cooks Falls, NY passed away peacefully at home on January 13, 2019, after a short illness, surrounded by his family. Arthur was born in Horton N.Y. on March 8, 1937 to Andrew and Mary (Nevin) Horton. Art grew up in Horton and graduated from Downsville Central School. He was united in marriage on June 29, 1956 to the love of his life Barbara Ann Shaw and they lovingly celebrated 62 years together. Art starting working Construction right after graduating high school until his retirement in 1999, working for Laborers Union Local #7. He had a strong work ethic in which he instilled in his children and grandchildren. He was a 57 year Charter member of the Masons of the State of New York Walton Lodge #559 and a member of the Cooks Falls-Horton Fire Department. Through the years he enjoyed playing slow pitch softball in which you could always catch him on the pitcher’s mound, traveling to Florida with his Wife Barbara to watch the Yankees spring training and enjoying time together in Cocoa Beach, playing in horseshoe tournaments where he often brought home 1st place. It was said that any team he was on was the team to beat. During retirement Art enjoyed time spent with his family the most. He could often be found on the first baseline of the high school baseball field, basketball court and football field cheering on his grandchildren and great grandchildren. He rarely missed a New York Yankee game and was a loyal New York Giants fan. He experienced the most enjoyment for decades, on the old family homestead he named High Point, hunting and making the best memories which created the most interesting stories with his Sons, Grandsons and cousin Bill. “What happened in the hunting camp stayed in the hunting camp.” He enjoyed Horton family barbecues, that occurred frequently throughout the years, where many great memories were made and now cherished. Arthur is survived by his wife Barbara A. Shaw Horton; two daughters, Karen Hudson and her husband Phillip and Lori Rosencranse and her husband, Lee; two sons, Andrew Horton and his wife Peggy and Thomas Horton and his wife Beth; his sister, Margaret Babcock; and his brother, David Horton; 16 grandchildren; 15 great grandchildren; and a great granddaughter expected in June. He was predeceased by his parents; his son John Horton; grandsons, Christopher DeRosia, Justin James Arthur Horton and a great granddaughter Hannah Grace Favre. Art was a good, kind and loving family man who will be deeply missed and forever remembered. Visitation will be Friday, January 18, 2019 from 3 to 5 PM in the Harris Funeral Home, Railroad Ave. Roscoe, NY. Funeral services will be Friday, January 18, 2019 at 5PM in the funeral home. Memorial contributions in Arthur's name may be made to Roscoe Cares C/O Debbie Hendrickson, 148 Rockland Road, Roscoe, NY 12776 or to a charity of one's choice.